Greene has shown her work widely at venues such as Sheldon Museum of Art, Brown University, Salisbury University, Wave Hill, Bronx Museum of Art, Noyes Museum, Accola Griefen Gallery, Lodge Gallery, Kiechel Fine Art, A.I.R. Gallery and Jane Lombard Gallery. 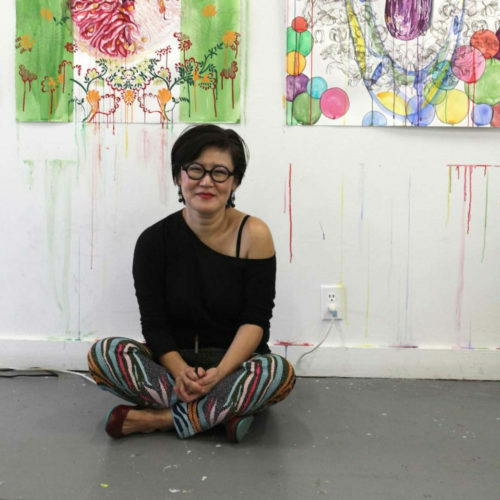 Her work has been covered in publications such as Artnet News, Art F City, Wallpaper, W Magazine, Lincoln Star Journal, Art21 Blog, Hyphen Magazine, The Korea Daily and New York Art Beat. She was a Stewart MacMillan Chair in Painting at Maryland Institute College of Art, Baltimore, MD in 2017-28 and is currently a part-time faculty of Fine Arts MFA Program at Parsons School of Design.